Completely new for 2019, the all-new Honda Insight is a continuation of Honda’s first try at hybrid-electric cars. The 2019 Insight is now a regular car, though, fitting in with the others in Honda’s lineup of excellent small cars, but boosts hybrid efficiency at the same time. Back when the Insight first appeared, which was almost a full year before the now-ubiquitous Toyota Prius hit the American market, the car was an odd-looking, hyper-efficient little compact. With rear wheel skirts and an odd marriage of a wedge-shaped front and a squared-off GT rear, the little Insight of the early 1990s was.. Well, weird. So it didn’t sell well. 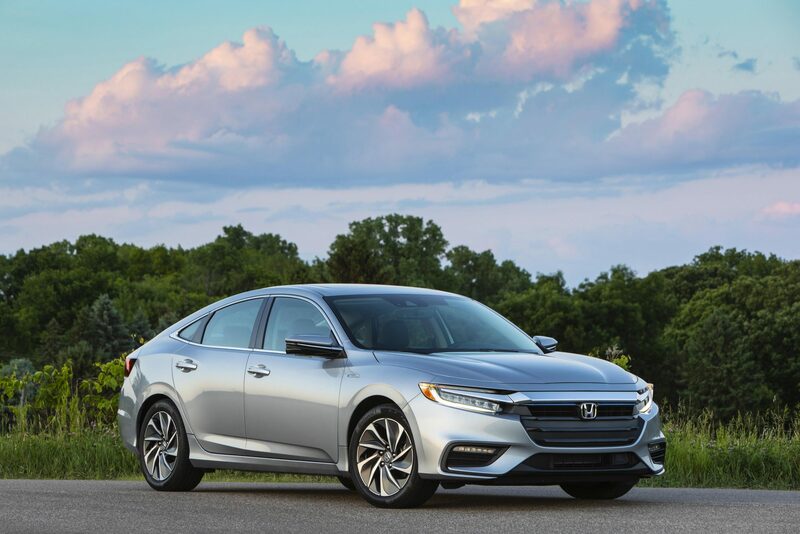 Today, for the 2019 model year, Honda has brought back the Insight with a fully-redone outlook. It’s still hyper efficient at 51 mpg combined, but it’s now almost indistinguishable from the other everyday cars on the road. In short, the Insight is no longer the oddball out. 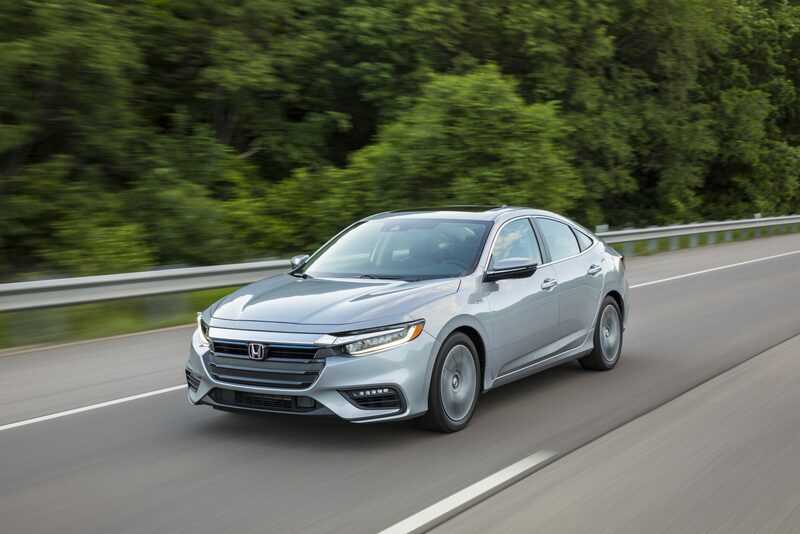 Design-wise, the 2019 Honda Insight fits in between the Accord and Civic, both long-running and well-established contemporary options in their respective sedan markets. 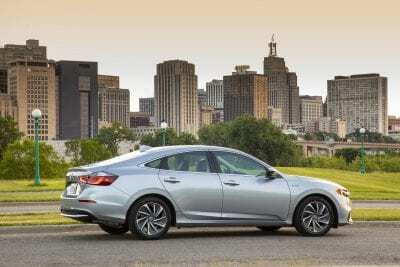 Honda sells those cars at volume, so cashing in on that with the more fuel-efficient Insight by landing just above the Civic in size is smart marketing. 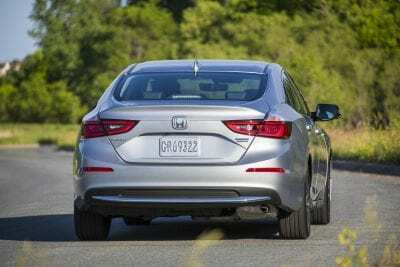 Where the 2019 Insight really shines, though, is when it’s taken as an overall, daily driver that’s not just about fuel efficiency. 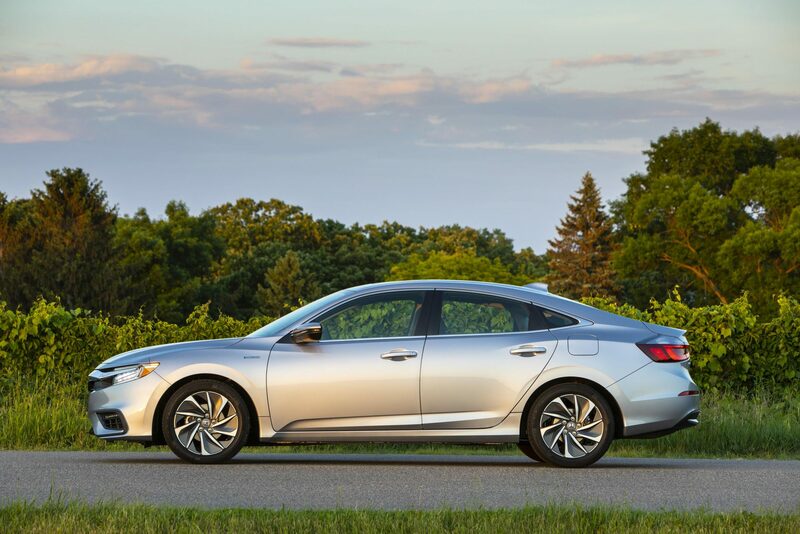 The Insight is also an ergonomic, well-balanced sedan and is probably what the Insight should have been from day one. There are three trim levels for the 2019 Honda Insight, all using the same engine and powertrain. LX – The base model for the Insight, the LX offers a good amount of standard equipment as-is. 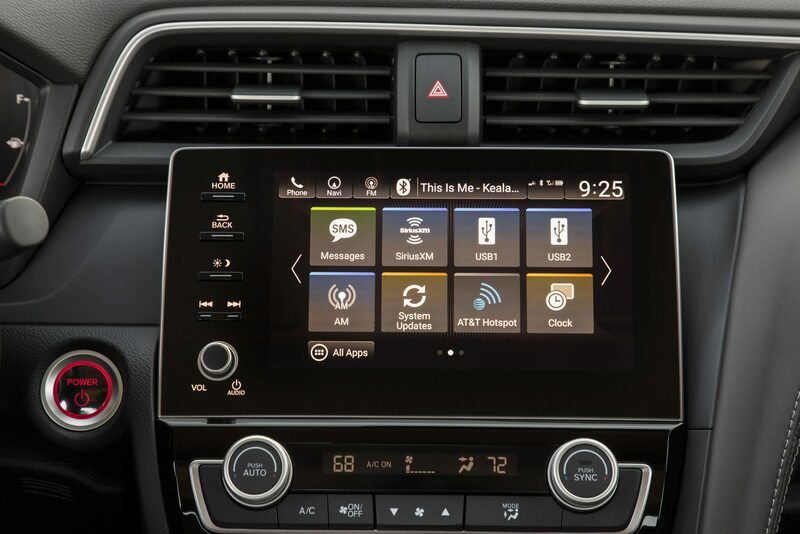 Automatic LED headlights, heated side mirrors, keyless ignition, automatic climate control, Bluetooth connectivity, a six-speaker audio system, and a USB port are all there. 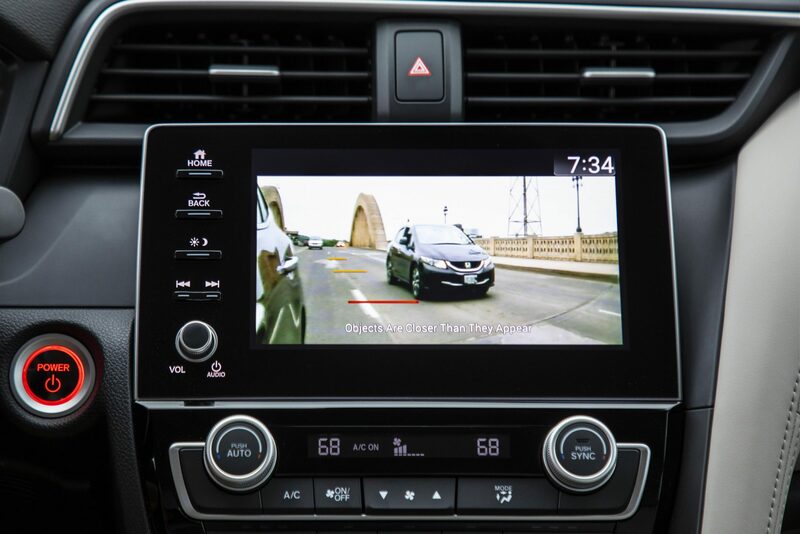 Plus standard safety and driver convenience items like adaptive cruise control, forward collision warning with active braking, lane keeping assistance, and a driver attention monitor. EX – The EX is the midpoint for the Insight, adding a rear seat armrest, upgrading to an 8-inch touchscreen, and adding HondaLink smartphone integration with Apple CarPlay and Android Auto. 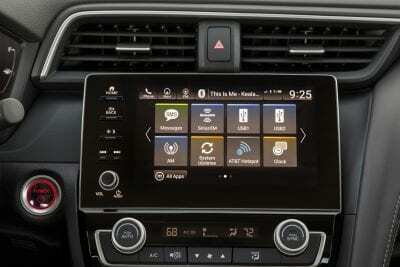 Another USB port is also added, as is an eight-speaker audio system with satellite radio. Honda’s LaneWatch right-side blind-spot camera is also added. Touring – This builds on the EX with LED fog lamps, a sunroof, dual-zone climate controls, leather upholstery, heated front seating, an auto-dimming rearview mirror, navigation, a 10-speaker premium audio system, and WiFi hotspot capability. 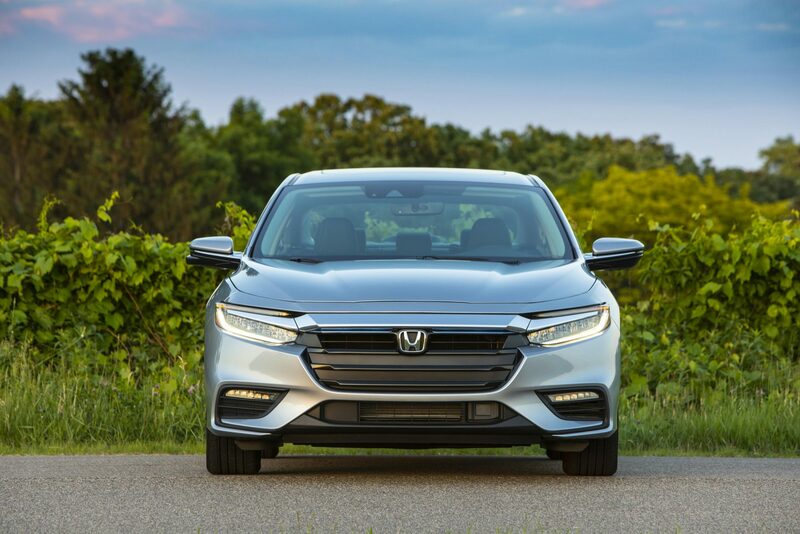 The Insight takes its looks from the Honda playbook for small sedans. It’s most like the midsized Accord in its overall styling, but has several unique points as well. We like the 2019 Insight’s proportional hood and its heavy indentations for airflow speed. We also like the simple, but upscale body paneling and roofline. 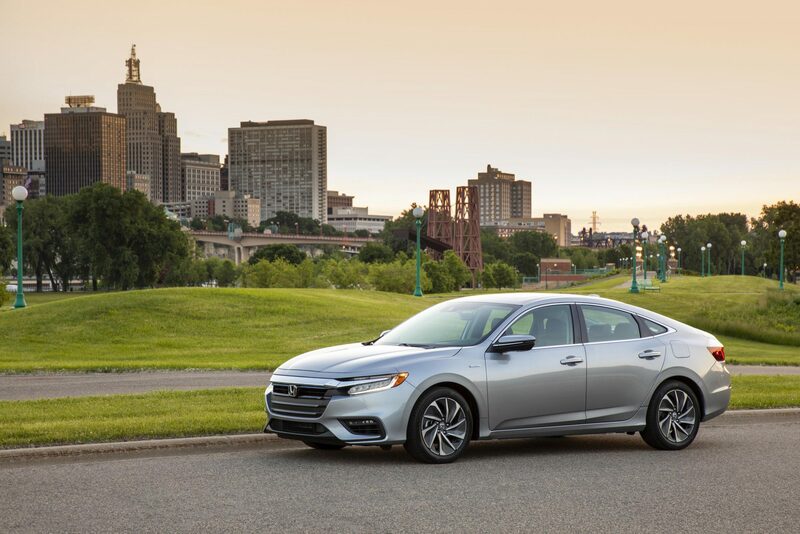 Some elements of the Civic can be seen in the grille and doors, but the Civic is most-seen inside the Insight instead. There, the maximized interior space and extremely well-done seating are clear. 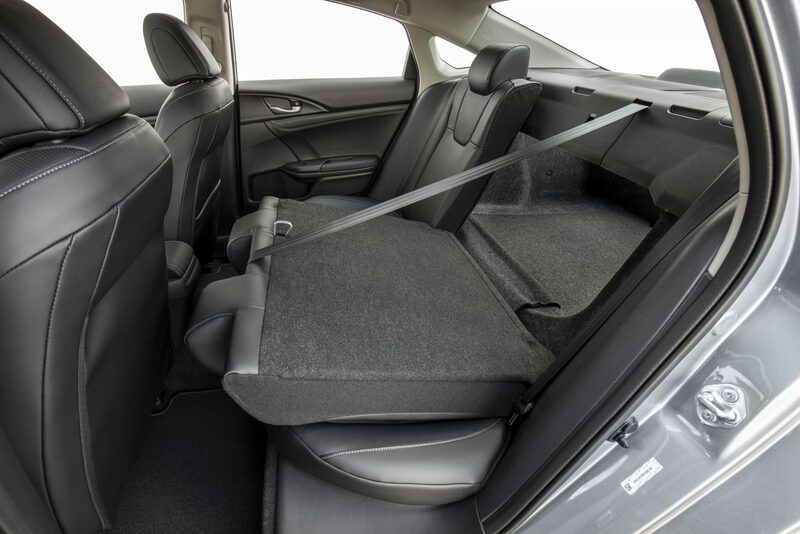 Roominess is important in the 2019 Honda Insight, with four passengers sitting with more space than expected. 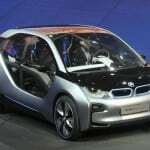 Five is a pinch, this being a compact car, but doable for short distances. 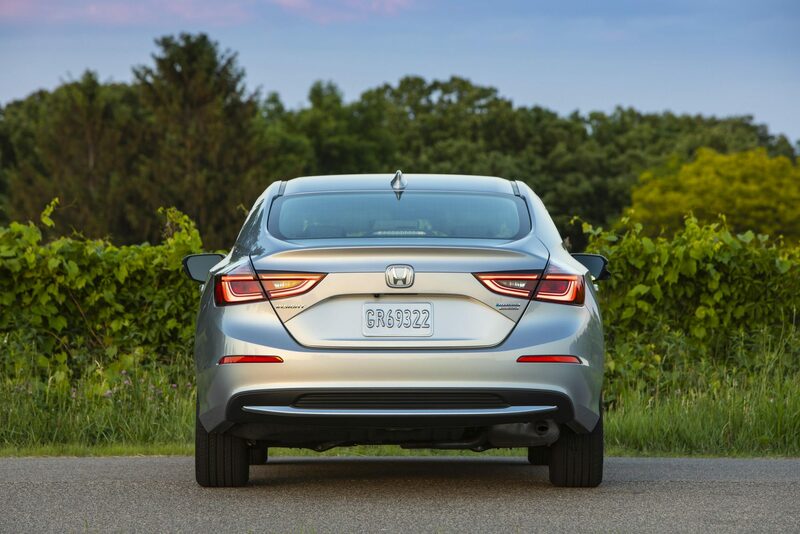 Getting in and out of the 2019 Insight is easy thanks to the wide doors with tall entrances. 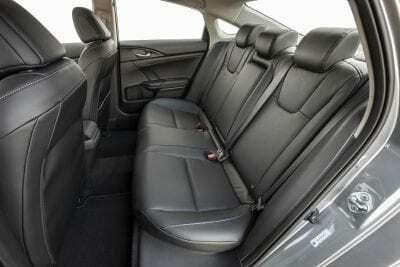 Knee room in the rear is good, but headroom can be compressed for taller passengers because of the car’s sloping roofline. 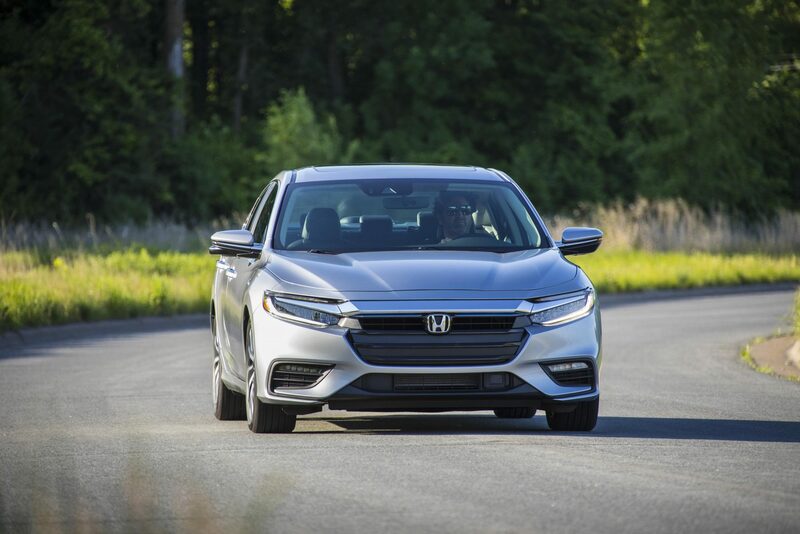 The 2019 Honda Insight is powered by a 1.5-liter four-cylinder engine that combines with an electric motor and 1.1 kWh battery pack. 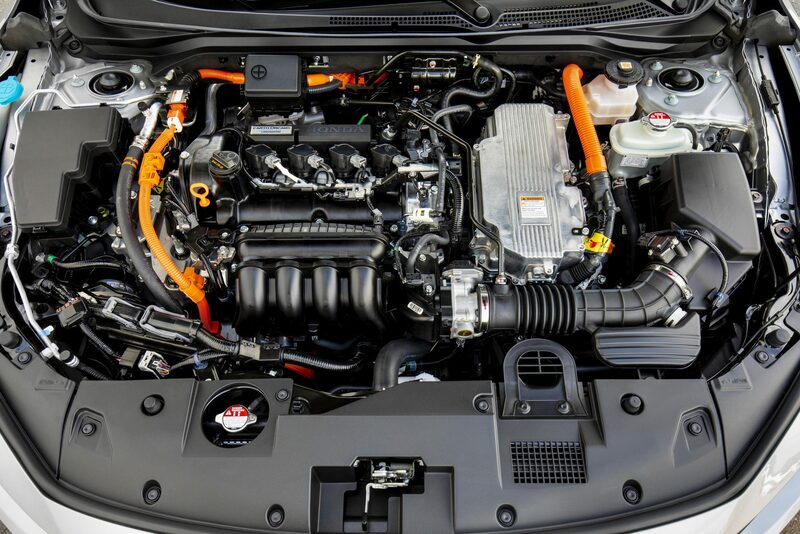 The batteries are nestled underneath the rear seat and an electronic continuously variable transmission (e-CVT) combines the engine and motor power to the front wheels. The Insight is primarily motivated as an electric car, which explains its efficiency. The engine is a secondary motivator and mostly acts as a generator for the Insight’s batteries and electric propulsion. 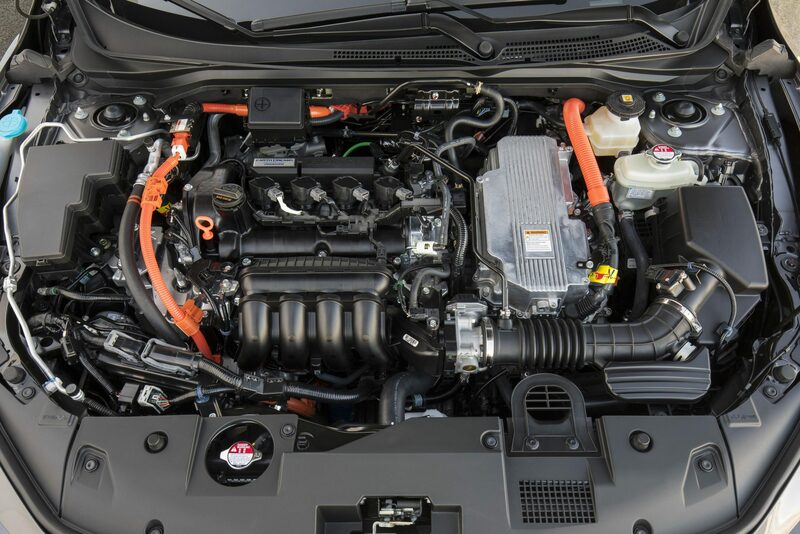 All together, the Insight’s powertrain delivers 151 horsepower and 191 pound-feet of torque. Acceleration to 60 mph is done in about 8 seconds, which is about average for the compact class, but Honda managed to add their signature jumpiness to the first dozen or so MPH, giving the Insight a faster feel. 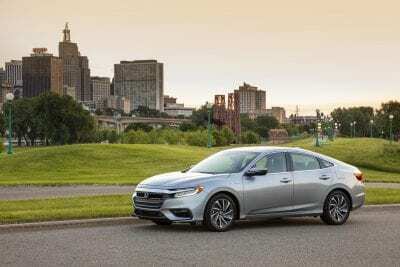 The 2019 Honda Insight is surprisingly peppy for its fuel efficiency and feels good on the road. 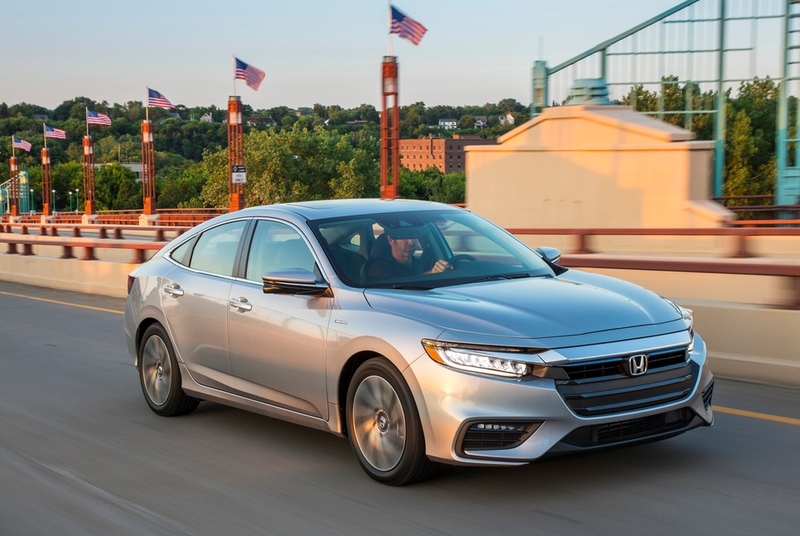 Because it’s low and has precise steering, the Insight gets more credibility for its agility than it really has, but is not so over-confident that it becomes dangerous. It’s, again, a good mixture of what Honda does best with little cars. It feels better than its actual performance numbers. A good thing. 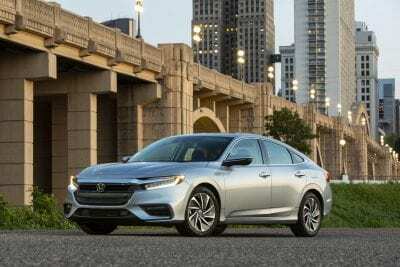 Chief competition for the 2019 Honda Insight comes, of course, from the Toyota Prius lineup. But in the compact hybrid segment, there is also the well-done Hyundai Ioniq Hybrid and the Kia Niro. 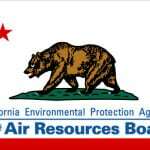 Toyota Prius – The Prius has the best fuel economy of any hybrid in the compact segments. The new design for the Toyota adds a three-seat rear bench and more passenger room overall. The Prius is still a brick on the road and is not very peppy at all. Hyundai Ioniq Hybrid – A newcomer to the hybrid field, the Ioniq sports a good design and generally good metrics. A great warranty and price tag are also high points, but the Ioniq is not as fun to drive or as contemporary as is the Insight. Kia Niro – Billed as a crossover, the Niro is really just a hatchback with slightly more ground clearance. 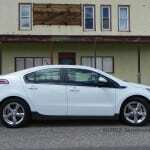 It’s fun to drive and right-priced, however, with a lot of versatility to its credit. Of the three competitors listed here, the Niro is the only one that doesn’t heavily advertise its hybrid nature in its design elements, much like the Insight. 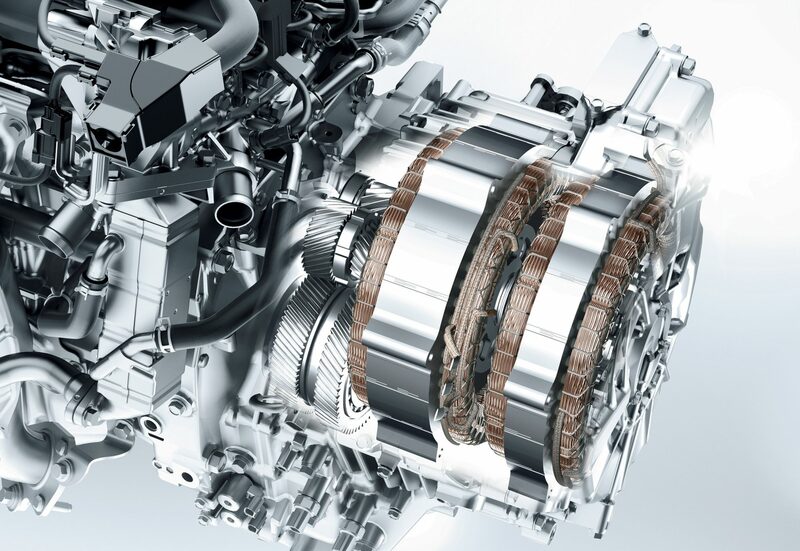 Good drive dynamic that is not only inherent, but also driver-selectable. 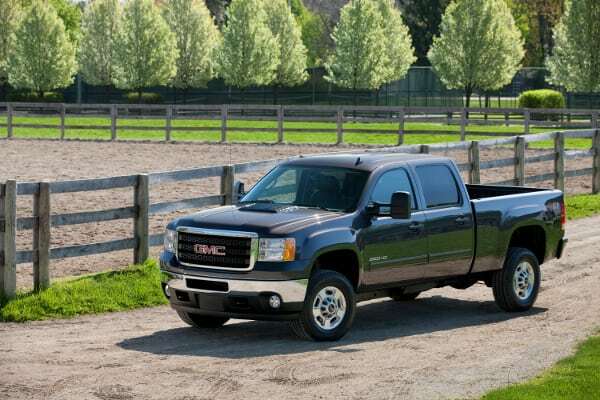 Less peppiness can be opted for in favor of even better MPG returns. Daily use ergonomics are excellent with the Insight. Well-priced sedan with a high value proposition. Loud engine, especially on the highway. Push-button gear selection gimmick is a Honda annoyance. Rear seat headroom is compromised, making it less comfortable for taller folks. There are some very competitive options in the compact hybrid sedan and hatchback markets. The 2019 Honda Insight has a lot of appeal, though, with a contemporary look that’s less obtrusive and pushy about its hybrid nature than some competitors might be. 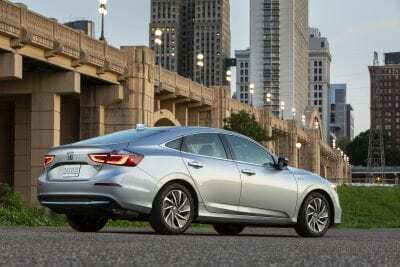 The Insight also has an excellent drive dynamic, is comfortable, and sports great fuel economy. 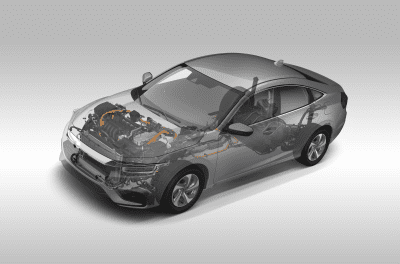 Honda Earthdreams Technology hybrid two-motor system as used in the 2014 Accord Hybrid and Accord Plug-in.